If it’s culture, history, and variety you’re after, Europe has it all. 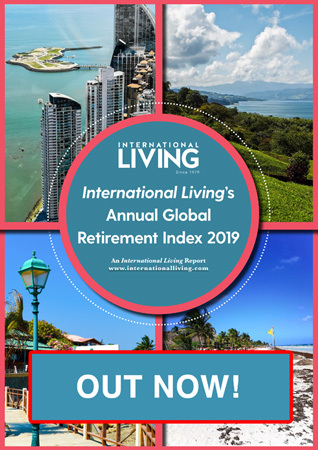 From idyllic rural retreats to cities where history is thickly layered with stunning architecture and grand museums, rich in romance, Europe has long had a strong appeal for North American retirees. Many people who would love to retire to the Old World wrongly assume that it’s beyond their budget. But, the reality is you can have a European retirement and at a cost much lower than you may think. Read on to discover five locations where you can enjoy a perfect European retirement on just $35,000 a year. Provence is a sweeping area at the center of the Alps-Provence-Cote d’Azur region of south-eastern France, bordering Italy and the glittering waters of the Mediterranean Sea. France’s second largest city, Marseille, is its capital but visitors tend to gravitate to smaller popular towns such as Aix-en-Provence—a wildly romantic little city of fountains and medieval streets that was once the Provençal capital. This region takes all of the best parts of France and wraps them up in a pretty bow: fascinating history and culture, beautiful weather, excellent food and wines, laidback atmosphere, and, of course, the glittering waters of the Mediterranean Sea. It’s also close to the Italian border—less than an hour away in certain areas—so it’s the perfect starting point if you’re looking to travel around the region. With a population of just 140,000, you might expect Aix to be a traditional Provençal town…but this city has a buzz that far exceeds the relatively small population. It is the essence of French style, coupled with the colorful chronicled past, captured by artists such as Van Gogh, Matisse, and Picasso for generations. The locals move through the city with purpose but without appearing hurried. 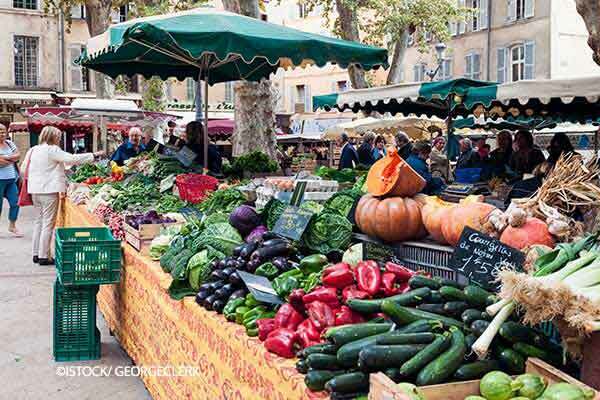 How much does it cost to live in Aix-en-Provence for a month? IL France Corespondent Barbara Diggs say “You’ll have your fancy Michelin-starred restaurants, but you’ll also readily find plenty of delicious three-course prix fixe meals for about $27. Depending on your location, you can pick up street food such as panisse (chickpea fritters) or pissaladiere (onion tart) for about $3. There is a deep appreciation of beautiful things in Aix-en-Provence, something that is presented effortlessly through architecture and fashion. Here, a couple can enjoy a great retirement on $2,695 per month. Alicante is a port city on Spain’s south-eastern Costa Blanca. Home to about 330,000 people, Alicante offers an unbeatable combination of comfortable city living and relaxed country friendliness. There’s always something to do here, whether it’s dressing up for fiestas and concerts or getting fancy at the theatre or a Michelin-starred restaurant. The city has two distinct rhythms. In the summer, Alicante transforms into a sunshine playground where gelato shops spring up on almost every street, men walk the beaches selling ice-cold cans of beer, and a myriad of languages bubble through the streets. Things slow down as the weather grows colder and the tourists head home. Yet winter is entirely pleasant as the temperature rarely drops below 50 F. Most days the sky remains a crystal clear blue and the wide beaches become yours alone to wander on. The seafood from the fish hall was incomparable—a pound of fresh red tuna cost me $7.50 and a pound of tasty prawns could be had for $4. 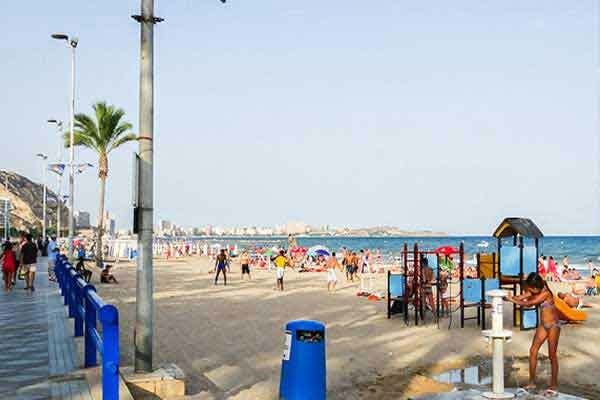 How much does it cost to live in Alicante for a month? Like so much of Spain, living here is affordable. A couple can live well in Alicante on $2,390 per month. Italy is full of classic postcard landscapes that appeal to all the senses. Living in Italy can be as expensive or as low-cost as you want it to be—it all depends on location and lifestyle. Sure, the big cities like Rome, Milan, and Florence are expensive. But get outside these popular areas and prices drop significantly. Take Basilicata, a hidden gem tucked into the ankle of “the boot”, speckled with verdant valleys, deep forests, rolling hills, and alpine peaks. Nestled in the Apennines in southern Italy, Basilicata is almost entirely encircled by its neighboring regions except for two short stretches of coastline. Cuddling up to Puglia, Calabria, and Campania, it is the most sparsely-populated part of the country. Basilicata offers a laidback, enjoyable lifestyle that can be affordable, where you’ll be welcomed and well-fed. “The boot” garners top honors in cuisine; prosciutto, parmigiano, pizza, porcini, and pasta…they’re famous because they’re so delizioso. Life here, as with so much of Italy, is relaxed, and there is a history of hospitality that will make you feel at home and help you settle in. This is the lifestyle that draws most expats and travelers to Italy. 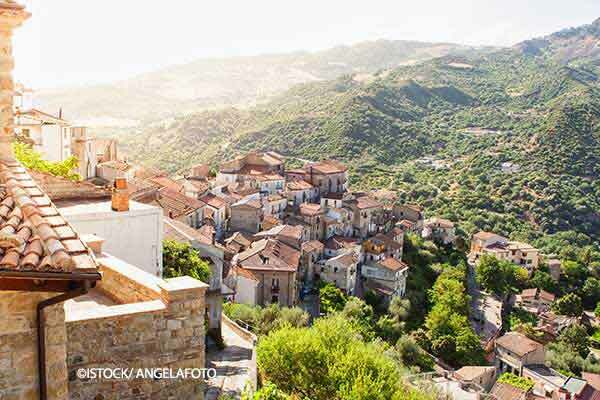 How much does it cost to live in Basilicata for a month? Basilicata exemplifies the lifestyle that draws most expats and travelers to Italy. A monthly budget for a couple in Basilicata comes to $1,600. Many European cities have been sought out by expats from the U.S. and Canada in recent years. 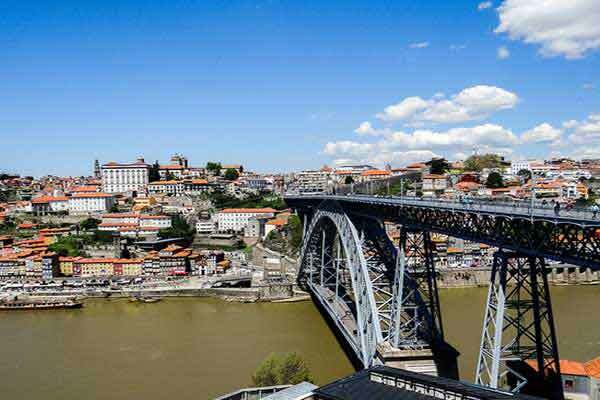 But what Porto offers, is an enchanting combination of Old World charm and First-World convenience wrapped in a consummately affordable and attractive package. The second largest metropolitan area in Portugal after Lisbon, it is located on the Douro River where it flows into the Atlantic. The city center is home to less than 240,000 people and has a small city’s feel and friendliness. But it’s also a thriving international business city with an international airport. Still something of a hidden gem, Porto isn’t overwhelmed by the crowds of Lisbon and has escaped from the overly touristy feel of certain parts of the country’s southern coast, while still ticking all the boxes for scenic grandeur and vibrant culture. Porto is known for its vibrant restaurant and café scene. The scenic riverfront provides the perfect backdrop for an evening stroll. Elegant parks with fountains, statues, and exotic plants, leafy boulevards, and cobbled streets lined with historic buildings all invite easy exploration. How much does it cost to live in Porto for a month? IL Portugal Correspondent Tricia Pimental says “A cup of coffee in a café is a dollar or less, fresh fruit $1 per pound, and a three-course lunch for two including wine at a mid-range restaurant will cost you just $20”. 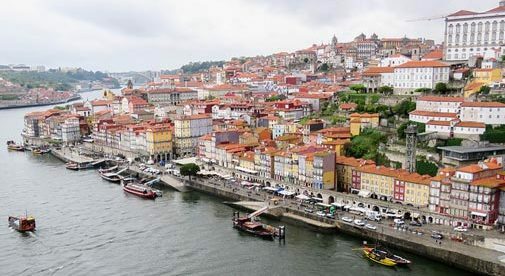 For all Porto’s natural and architectural beauty, fine food and wine, and pleasurable pastimes, it’s surprisingly affordable to live here—a monthly budget for a couple runs at $1,550. From countryside farmhouses to ancient walled cities and breath-taking coastal pathways to quirky, hidden-gem restaurants, the tiny island nation of Malta has a little something for everyone. At only 122 square miles, making it one of the smallest nations in the European Union, Malta packs a real punch. It’s home to a number of UNESCO World Heritage Sites and over 155 miles of coastline. Built in the 16th century, it is a well-preserved ancient city, a popular tourist destination, and a busy port town. At the height of summer, its docks play host to two cruise ships a day. With rolling hills reminiscent of San Francisco, Valletta offers incredible views of ships entering and leaving its harbors. Here, the English-speaking population—a legacy of British colonization—makes it easy for North Americans to adjust to life. Valletta is also renowned for being the warmest capital in Europe. Average daytime temperatures are in the 60s F, with at least ﬁve hours of no-cloud-in-sight sunshine per day, in the “winter” months of January and February. And temperatures average in the 80s F during the hottest part of the summer. 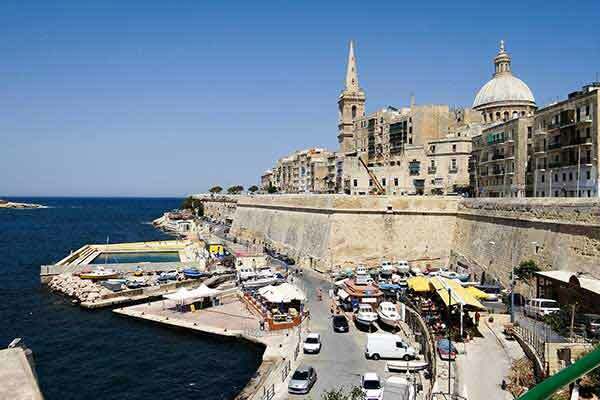 How much does it cost to live in Valetta for a month? Dollars can go surprisingly far here, with couples living comfortably on $2,600 per month.